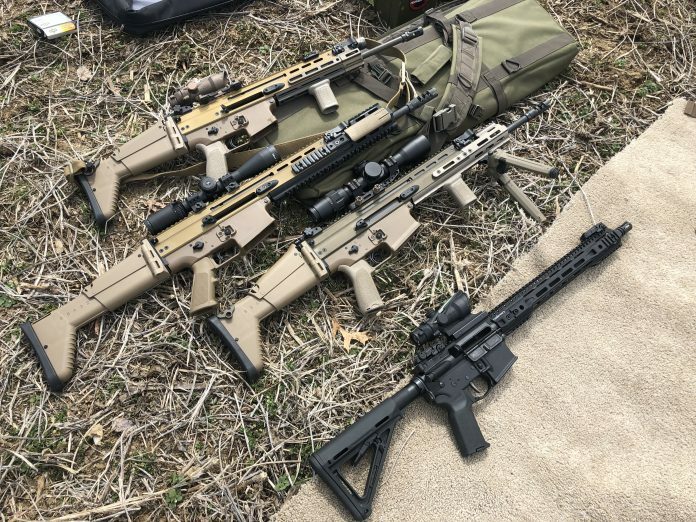 This weekend marked the first truly ‘good’ range weekend of this year in my home state. A wonderful 67 degrees, dry, and partly cloudy. So who grabbed their rifles to knock the dust and rust off? Sometimes you just have to go have fun. It’s not always about drills. It’s not always about running best kit with the best times. So when my good friend tells me we need “to shoot” I know exactly what she’s talking about. 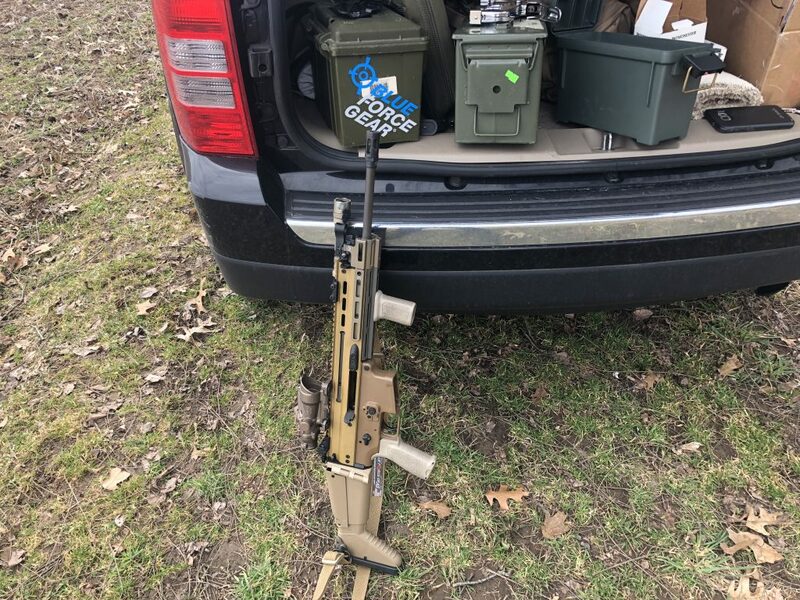 We grabbed our SCARs, her BG SIPR (mine, the .308, is still in final prototype), some ammo cans (thank you Widener’s bulk order!) and off we went. For things to shoot at… RE Factor Tactical. Shooting 2-Gun match next weekend and the IDPA standard silhouette is the scorable target. 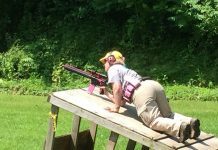 The GTG Baseline covers IDPA and USPSA. It gives a myriad of other drill options too. Zeroing groups. Dot torture light. Consistency gauging. We tore up the targets and dusted off the unused skills box. Getting back into the rhythms of consistent proper fundamentals. And ultimately, just had fun punching holes in the paper. I did work a couple items for the ACTS 2-Gun. 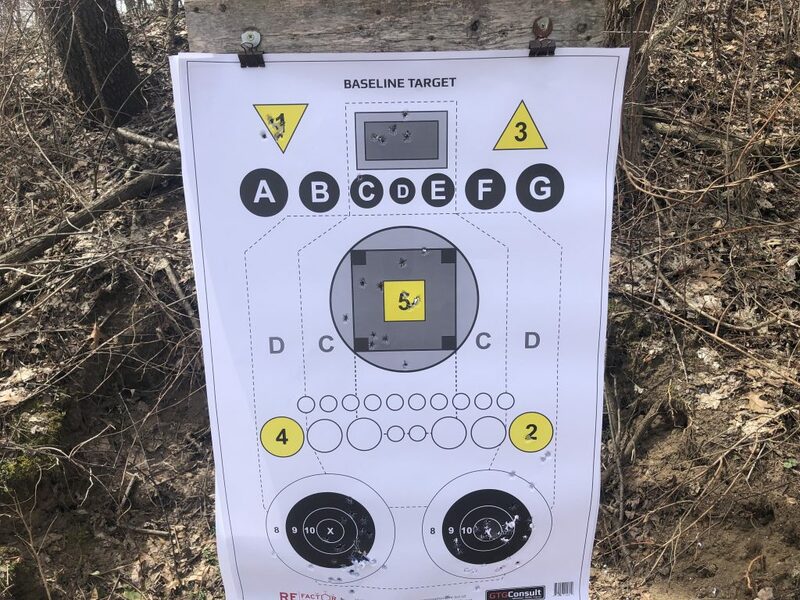 Reloads, controlled pairs, transition from rifle to pistol, just waking up skill sets I haven’t used seriously beyond dry fire practice in months. First, get out the guns and get them running again, especially anything used for serious purposes. Double check zero, function, clean and lubricate, make them ready. Second, go have some fun! It’s springtime. It’s not fun when that ammo can is running on empty. Double check your stock and refill before your next class, match, range day, or just in case. Don’t let the visible bottom of an ammo can or box make you sad.